Dubai, UAE, August 04, 2018: The UAE is marking the centenary of the birth of its founding father, the late Sheikh Zayed bin Sultan Al Nahyan, and Sharjah was seen dedicating a panel in its cultural programme for the São Paulo International Book Fair, to celebrate the truly remarkable life and achievements of the UAE’s greatest visionary. Titled ‘Year of Zayed’, the panel shed light on the fact that the prosperity, harmony and modern development that today characterises the UAE is due to the long-term vision and formative role played by the UAE’s founding father. 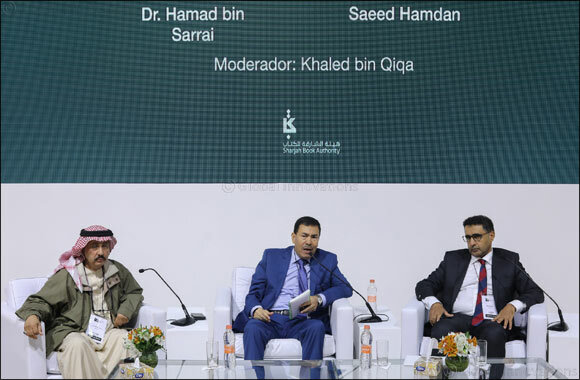 Moderated by Khalid bin Qiqa, the panel comprised Dr Hamad bin Sarai, Professor of Old History at the United Arab Emirates University; Saeed Hamdan, Director of Program Management in the National Library Sector at the Department of Culture and Tourism in Abu Dhabi. The two researchers highlighted late Sheikh Zayed bin Sultan Al Nahyan was an immediate advocate for closer cooperation between all Gulf states, and primarily responsible for uniting the seven emirates and establishing the Union. Dr Sarai underscored that the Founder of UAE is one of the most influential Arab and Muslim role models whose early reforms in education, healthcare, public housing and other areas of community development based on the principles of inclusion and sustainability, and his persistent efforts in these field for over a decade, are an example for the region. Bin Sarai pointed out that they were, and still are sublime, authentic, persuasive, thorough and simple. Hamad bin Sarai emphasised that Sheikh Zayed succeeded in instilling noble values and tolerant ethics into the future Emirati generations, through the tools of education and careful upbringing. For his part, Saeed Hamdan, Director of Program Management in the National Library Sector at Department of Culture and Tourism in Abu Dhabi, shared reflections on the address of His Highness Sheikh Dr. Sultan bin Muhammad Al Qasimi, Member of the Supreme Council and Ruler of Sharjah for being selected the ‘Cultural Personality of the Year’ at the ‘Sheikh Zayed Book award’. Hamdan underlined that the selection of Sharjah as Guest of Honour at the 25th edition of the São Paulo International Book Fair is a culmination of the emirate’s on-going actions in the past 50 years during which His Highness Sheikh Dr Sultan Al Qasimi has strongly believed in cultural development and succeeded in promoting Emirati culture around the world. Director of Program Management in the National Library Sector emphasised that the presence of late Sheikh Zayed in collective Emirati memory was a key intellectual and creative subject that was addressed by dozens of Emirati and Arab authors. The Arabic library has more than 150 titles on Sheikh Zayed, covering his humanitarian efforts, biography, development plans and politics. The titles also comprise panegyrics, written verse and poetry collections in high praise of his personality and noble values.